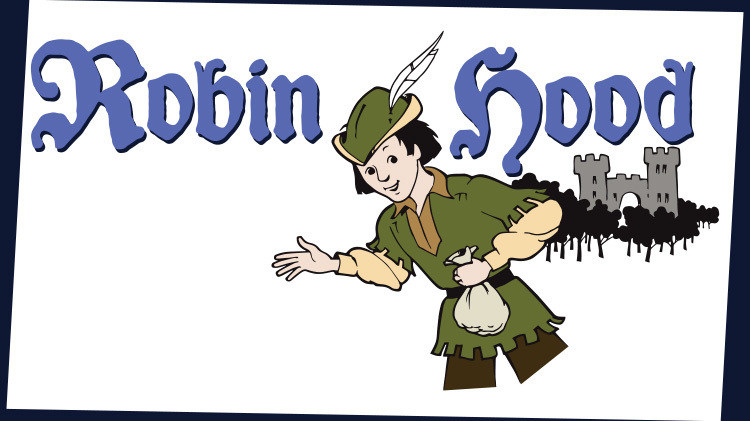 Date: Apr 15 2019, 4:30 p.m. - 6:30 p.m.
Auditions for the Missoula Children's Theatre production of Robin Hood will be held April 15th at 4:30 p.m. The audition will be 2 hours and participants MUST attend the entire session. Older actors will stay after to begin rehearsal (a sack lunch is suggested). Parts for 50-60 children, K-12 (5-18yrs), are available. Among the roles to be cast are Robin Hood, Maid Marion, Marion’s Maid, Prince John, the Sheriff of Nottingham, the Foresters, the Aristocrats, the Merry Band, the Guards, the Horsemen and the Skunks. No advance preparation is necessary. Assistant Directors will also be cast to assist with the technical aspects of the production. The Missoula Children's Theatre touring productions are complete with costumes, scenery, props and makeup. MCT Tour Actor/Directors will conduct rehearsals throughout the week, April 15th to 19th, from 4:30 to 6:30 p.m. for all participants. An additional rehearsal will be held from 6:45 until 8:45 p.m. for older actors Monday, April 15th. The performance will be on Saturday, April 20, at 2:30pm.